Jagan’s padayatra to connect with the people and the TDP government’s struggle to implement farm loan waivers are reminiscent of the 2004 political scenario. Always clad in a spotless white shirt with a matching dhoti that represents ordinary rural folk, Congress leader the late YS Rajasekhar Reddy, a medical practitioner-turned politician from the faction hotbed of Kadapa district in Andhra Pradesh’s Rayalaseema, was adored as a messiah of farmers and a perfect match to unseat the then Chief Minister N Chandrababu Naidu of the Telugu Desam Party (TDP) in 2004. In contrast, in his cream-coloured shirt, trousers and black shoes, Naidu looked industry friendly with claims of making undivided Andhra Pradesh a favoured destination for investors. The two leaders were poles apart in their form, language and content too. Naidu, as the longest-serving Chief Minister of undivided Andhra Pradesh with a four-decade long illustrious political career, is now, as the current CM of the truncated Andhra Pradesh, engaged in a do-or-die battle with 47-year-old YS Jagan Mohan Reddy, son of his erstwhile bête noir. YSR, as Rajasekhar Reddy was widely known in the combined state, struck the right chord at a time when recurring droughts marked by crop failures, rural distress and farmer suicides had gripped rural AP. Steep hike in power charges as an offshoot of reforms heralded by the Naidu government only added to the problems of the agricultural sector. The unrest among farmers over hike of power tariffs triggered a bloody police firing on protesters at Basheer Bagh in Hyderabad in the year 2000, leaving two persons dead. The police action helped the Congress and the Left parties close ranks and put up a united fight against the TDP regime, besides prompting Reddy to embark on a gruelling 1,467 km-long padayatra in the oppressive midsummer. YSR’s crusade finally saw the end of a long TDP regime, sending Naidu into a decade-long hibernation. Reddy’s promise of free power for agriculture did miracles helping his Congress party garner votes from farmers and sweep the election. Are there any parallels this time around to the above scenario? 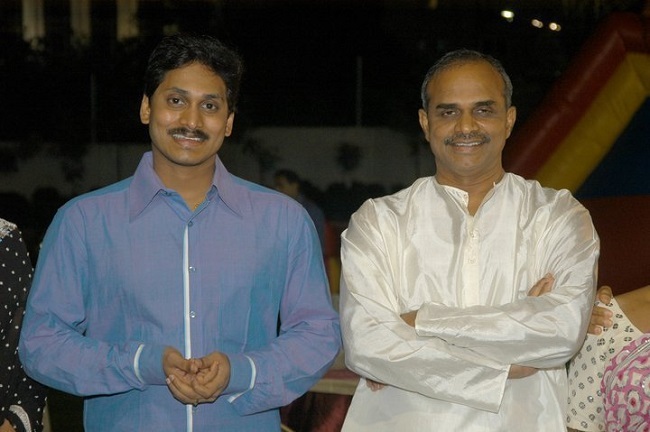 Will YSRCP’s Jagan do a Rajasekhar Reddy? Of course, there appear to be many a similarity. In padayatras, Jagan broke the record set by his father by embarking on a walkathon covering 3,640 km for 341 days before the current election. Is there an anti-incumbency wave now to trounce his mighty rival Naidu as there was in 2004? Pat comes the emphatic reply from Jagan, “Yes”. Jagan, wearing branded shirt and trousers, electrified his gatherings with his tirade against the Chandrababu Naidu government for “cheating” farmers with his false promise of waiving loans. After taking over the reins of the TDP from his mentor NT Rama Rao through a coup in 1995, Naidu harped on making the agrarian state a fulcrum of industrial growth by attracting investments. To make way for industrial growth, he initiated reforms. He became a darling of urban, educated middleclass youths by earning the sobriquet ‘tech savvy’ or ‘computer boy’. But he failed to connect with farmers and rural folk with his pro-industry agenda. In his tenure as chief minister from 1995 to 2004, Naidu assiduously built a strong women’s vote bank with the distribution of 25 lakh gas connections, 50 lakh ration cards, 10 lakh house sites and 3 lakh cycles to school-going girls. But all these initiatives failed to come to Naidu’s rescue when the YSR-led Congress stormed into power by bagging 216 seats in the 294-member Assembly (inclusive of the seats won by his allies, the TRS and Left parties). For, his initiatives were strikingly eclipsed by the neglect of the farming sector that manifested as decline in cultivable land to 19 lakh acres during the period. The reforms lacked a humane face, making the power charges unbearable for farmers and even household consumers. Increase of water cess as part of the reforms triggered violent protests in the Godavari delta region leading to a police firing in West Godavari district. Droughts and resultant crop failures led to massive migration of rural people in search of employment. Drawing a lesson from the election outcome in 2004, Naidu came out with a promise to write off farm loans to regain support from farmers and rode to power in 2014. The promise put the TDP government in a bind over writing off the farm loans totalling up to Rs 87,000 crore benefiting 8.8 million farmers. When the YSRCP leader was on the foot march connecting with people at the grassroots, Naidu, during most of his current stint, appeared busy making the truncated Andhra Pradesh a sunrise state by holding a series of investor summits and preparing blueprints for his world-class capital city in Amaravati. Naidu’s model of development provoked seeds of heartburn in backward regions such as Rayalaseema. The “broken” farm loan waiver promise apart, Jagan exposed the TDP regime for promoting cronyism, corruption in governance, and its skewed development model in an apparent bid to take advantage of anti-incumbency. Jagan claims he is confident of sweeping the election by winning 120 Assembly seats and 20 out of 25 Lok Sabha seats. In the run-up to the elections, Naidu sought to don an “all-free” populist hat, offering Rs 10,000 to each of the women from 94 lakh self-help groups under the Pasupu-Kumkuma scheme, Rs 10,000 to each farmer under Annadata Sukhibhava and doubling of old age pension from Rs 1,000 to Rs 2,000. The present election, unlike earlier, saw Naidu waging battle singlehandedly with no allies. The TDP leader faced elections in the company of allies such as the BJP (1999, 2004 and 2014), and the TRS and the Left (2009) since he took over the mantle from NTR. Naidu, who rose from an ordinary middleclass agrarian family in Chittoor district to become the longest-serving CM of Andhra Pradesh since its formation, cannot afford to sit in the opposition and wait for another term to stage a comeback, given his age and his compulsion to play a key role in national politics. This election for him is now or never.